Here's a weird fact about life: You simply never know when you're going to happen upon a hand grenade. You may not know when your day will come, but you can decide what you'll do if it does, and, to be clear, there's a right answer and a wrong answer. The right one: Calling the authorities and not touching it. The wrong one: Placing it in your trunk and heading to Taco Bell for a meal. And yet, that is exactly what one Florida Man did. He'd been magnet fishing in Ocklawaha when he found the explosive, reports Gizmodo. Once he found it, he put it in his trunk, and made his way to Taco Bell. As one does. At around 5pm, he called 911 and explained that situation. 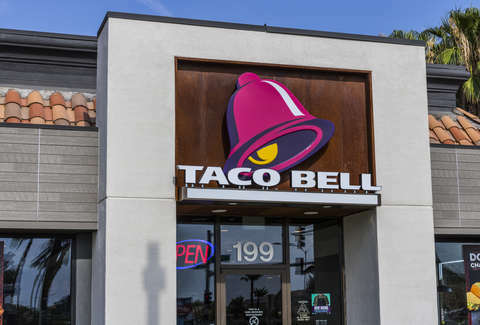 The Taco Bell in Ocala, Florida was then evacuated, and the bomb squad was summoned. The restaurant opened around two hours later, and no one was hurt. But presumably everyone was confused about his order of operations. Police then updated the public via social media: "This has been verified as an authentic WWII hand grenade. The bomb squad removed the grenade without incident and advised it would be disposed of properly. Taco Bell has reopened." So remember, if you find a grenade, call the police -- and then go to Taco Bell. If you find a cool Viking sword, on the other hand, call the museum people and they might name it after you.